Connected is a conversational quarterly series from New Energy Solar (NES) that highlights some of the key takeaways from its quarterly report and shares the team’s outlook on the period to come. 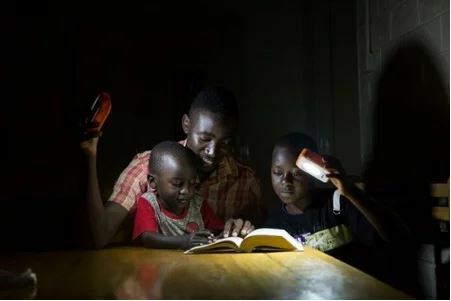 To date, New Energy Solar has made significant progress on its mission to not only expand its portfolio, but to cultivate positive social impact alongside long-term, risk-adjusted financial returns – and the second quarter marked a particularly exciting period of growth for the business. We continued our strong momentum in 2018 with several exciting new developments, not least of which was the acquisition of our first Australian asset – the highly anticipated Manildra Solar Power Plant, located in the Central West of New South Wales. The operating asset’s inclusion to the business’s 22-strong portfolio made New Energy Solar one of the top five listed global renewable investors in solar PV power plants. Post quarter-end, we also announced our intention to make a second Australian acquisition: Beryl Solar Power Plant – the second project acquired from First Solar. Finally, the team was also honoured as the ABA100 Winner for Eco Innovation at The Australian Business Awards 2018. As a third-time recipient of this title, we remain dedicated to cultivating eco innovation in Australia as the global transition towards renewable energy continues its course. With Australia on track to meet its 2020 Renewable Energy Target, our latest national acquisitions make us excited to contribute towards a bright future for solar in Australia, and also reflects our disciplined approach to analysing and acquiring high-quality solar assets around the world. During the quarter, construction on solar plants across North Carolina and Oregon in the Rigel portfolio progressed well, with four achieving mechanical completion and one reaching commercial operations. Our seven operating plants generated 192,381 megawatt hours of electricity,6 performing well in line with our expectations. Of the projects acquired and under construction, late-stage development and pre-construction activities on our largest plant, Mount Signal 2, as well as construction on the plant located in the Imperial Valley of southern California, are expected to commence in the third quarter. When all plants are commissioned through 2019, our portfolio will generate enough energy to simultaneously power every household in both Newcastle and Wollongong. In the United States, renewables now account for more than 18% of total electricity generation.7 Around the country, solar boomed in California, which became the first state to require all new homes to have solar, as state law now requires at least half of all electricity to come from noncarbon-producing sources by 2030.8 Elsewhere, Nebraska solar plants gained prevalence due to a number of cities and towns across the country taking advantage of the Nebraska Public Lower District’s SunWise Community Solar Program.9 This initiative has assisted residents in using and adopting solar power, has helped launch a number of solar farms in surrounding areas, and has also incited interest in other cities to get involved.10 And although the full impact of the solar tariffs announced earlier by the government is yet to be seen, projected growth for the US suggests a future for solar that looks bright. Meanwhile, Australia’s Clean Energy Regulator believes the country will not only meet its 2020 Renewable Energy Target,11 but could actually exceed it.12 As Australia continues its energy transformation, the regulator anticipates that solar will be twice as big as the year before.13 NES’ two latest assets are among some 25 large-scale solar projects in the country. Together, they will bring an additional 164 megawatts (MW) to the portfolio’s total expected capacity of more than 840 MW for 2018,14 and help further our mission to drive the transition towards renewable energy. Despite the ongoing energy policy debate in Australia, with renewable energy now representing the lowest cost source of unsubsidised electricity,15 we anticipate a very strong pipeline of investment opportunities in both Australia and the US. John joined New Energy Solar as Managing Director and CEO in May 2017. He brings a wealth of experience and capability to the role after more than two decades of experience in corporate advisory and investment banking, with a focus on the infrastructure, energy and utility sectors. Disclaimer - This website is intended to provide general information only and has been prepared by New Energy Solar Limited (Company) and Walsh & Company Investments Limited (Responsible Entity) without taking into account any particular person’s objectives, financial situation or needs. Investors should, before acting on this information, consider the appropriateness of this information having regard to their personal objectives, financial situation or needs. We recommend investors obtain financial advice specific to their situation before making any financial investment or insurance decision. Together the Company, the Trust and their controlled entities are referred to as 'New Energy Solar', 'NES' or 'Business'. Neither the Company, the Responsible Entity nor the Investment Manager give any warranty, make any representation as to, or accept responsibility for, its accuracy, reliability, timeliness or completeness now or in the future. While the information provided by New Energy Solar is believed to be accurate, New Energy Solar does not accept responsibility for any inaccuracy or any actions taken upon reliance with the information on this website.